It was a mere 230,000 years ago when a small volcanic cinder cone finally began to rise up out of the deep blue depths. Today, Molokini’s rocky skeleton tops out at 160 feet above the Pacific – the result of an untold number of eruptions. Thanks to the artistically erosive powers of the wind and water, the crater is now a crescent-shaped atoll that houses an impressive underwater paradise. There can be no doubt that Molokini is one of the most popular partially submerged volcanic calderas on the planet. 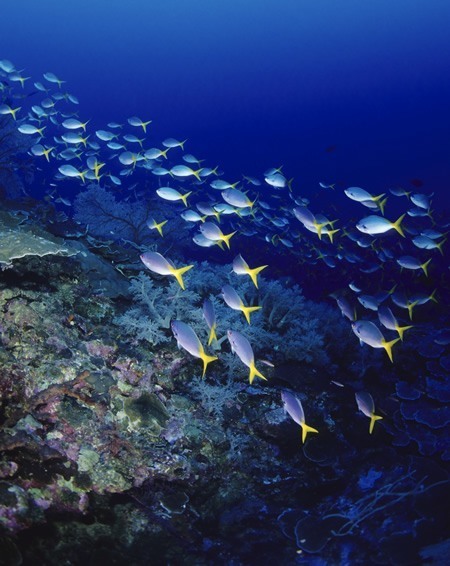 Amazingly, it is the only island marine sanctuary in all of Hawai’i, a testament to it being seen as a true treasure. With it’s incredible 150 ft visibility, protected waters and abundant sea life, it’s definitely earned sanctuary status. Damage to the reef occurs relatively quickly, while growth of the reef is incredibly slow. It can take decades for a heavily damaged reef to even begin to show signs of life again. Sadly, the “bleaching” or death of reefs around the world is rampant today. Unfortunately, cosmetic companies are not required to do specific testing or research regarding the effects of their products on any sea life or reef environments, even though that is likely where they will end up. Bottom line is… they’re not required to do it, so they DON’T. This needs to change, but until it does we can all educate ourselves and spread the word. Some chemicals found in many brands of sunscreens have been shown to kill off or “bleach” the reefs – in even the most miniscule amounts. Today, “Reef Safe” sunscreens are now not just “suggested”, but “requested” of visitors to Hawai’i by the locals, eco-conscious businesses and conservation groups alike. Using “Reef Safe” sunscreen is a simple thing that everyone can do to help keep the reefs of the world from dying off at such an alarming rate. With any luck, soon “Reef Safe” sunscreens will be the only kind allowed on the beaches and in the waters… worldwide. Studies have shown that several chemicals and nano-particle sized debris are causing serious reef destruction all over the planet. Butylparaben – A cheap, man-made chemical which is widely used as a preservative and has been shown to cause coral bleaching (death). And, it is doubly deadly because it’s also an endocrine disruptor in humans. Octinoxate (Ethylhexyl methoxycinnamate) – A known endocrine disruptor in humans, it also produces free radical and cell damage in humans and has been shown to cause coral bleaching. 4-methylbenzylidene camphor (4MBC) – A common sunscreen ingredient used across the world but has been shown to cause coral bleaching. Permitted in Europe and Canada, but not in USA or Japan. Nano-Particles – These insoluble, biopersistent, problematic particles kill reefs since they can be up to 100,000 times smaller than a human hair and are known to cause developmental disorders in a wide variety of sea life, including coral. Nano status can change even inert zinc oxide. Regular zinc oxide is a harmless white mineral substance found in many sunscreens, but when in “nano” form it is a particle as small as 1 to 100 nanometers in size and affects animals and coral differently than it’s bigger, “non-nano”, normal sized molecular structure. ** Special Note on Spray Sunscreens – They commonly contain translucent, harmful nano-particles. And, it’s very difficult not to inhale the mist when applying. If you have breathing issues, then spray sunscreens are a serious “no-no”. And, any product that is “transparent” is generally using ingredients that are harmful to humans, reefs and sea life. 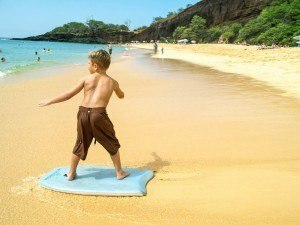 Water lovers in Maui are especially fortunate because many of the world’s best, most versatile diving spots are not as easily accessible as Molokini. It’s not uncommon to see an assortment of rays, sea turtles, schools of brightly colored fish and other sea life nestled amongst a variety of corals. These waters are protected from high winds and big waves so they usually have about 150’ – 180’ visibility, which is superb! “The Hawaiian Elevator” is the locals’ nickname for this unique undersea natural anomaly, found only on the backside of Molokini. Snorkelers and divers can try to stay floating next to the rocks but can’t crash into them because there is a 90 degree notch in the rocks which causes the water to push them back from the wall. It’s virtually impossible to hit into the wall because of the water pressure coming up from below. Molokini’s backside is especially revered by divers the world over, often gracing various “World’s Top 10 Best Diving Spots” for it’s impressive drop off. Divers descend down some 250 feet, which isn’t too shabby, but the fact that the drop off can be reached just 30 feet away from the volcanic rock, instead of having to swim forever to get to it, is a major plus. Drop offs are a big draw to sea life fans as generally, larger sea animals are found in these deeper waters so the size and variety sea creatures will be greater, as the water is deep and open. Mornings are generally calmer with exceptionally good visibility (usually about 150’ – 180’) due to it’s crescent shape which blocks most wind and wave action. Afternoons can be quite lovely as well. A bit more wind and some slight wave action is normal for afternoons. Accurate weather reports are always key to being prepared, especially while on vacation so don’t forget to check during the day and night before you’re scheduled to go. Raft – Are you up for a safe, high speed adventure tour that can take you places other boats can’t? Limited to ages 8+ who are in good physical shape. (**Please note that this isn’t the right tour for those who have neck or back problems, the elderly, the fragile or expectant mothers). It’s a tour that makes your entire day feel quite full of non-stop excitement because you get there faster, so there is plenty of water time and extra stops along the way, if desired. There is an on-board bathroom. Deli lunch and snorkeling gear are included. Boat – All ages can enjoy an amazing trip, albeit at a bit slower pace. Soak in all the sights on deck, or inside the spacious cabin (where it’s shaded) and and the complimentary bar is “open” while motoring to Molokini. It’s a beautiful day… filled with beautiful panoramic views of the islands, snorkeling, playing on the water slide, devouring a delicious BBQ lunch and sea life galore! Enjoy snorkeling with the ability to take your experience to the next level when you upgrade to a SNUBA experience (no experience necessary. Ages 8+). Luxury Boat – Want to bring your own “personal touch” to your vacation? Enjoy a luxury vessel with your choice of gourmet food, libations, entertainment and destinations when you hire a private charter. 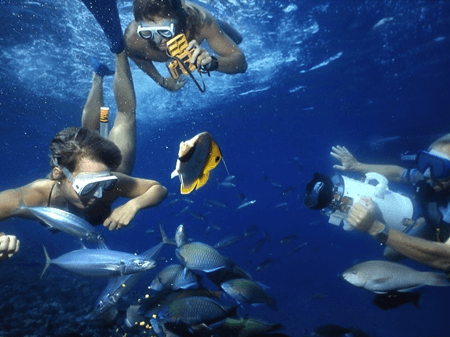 Design your own snorkeling tour or other event! Come find out why Molokini is so special. You won’t be disappointed! Molokini is a crescent shaped island formed from a mostly submerged volcanic crater. Although Molokini isn’t actually a part of Maui proper, the people of Maui see it as an extension of Maui because it’s so close. Only 3 miles off the southwest coast of Maui, Molokini offers some the best snorkeling and scuba diving in the Hawaiian Islands. The State of Hawai’i, recognizing Molokini’s incredible marine diversity and the need to protect it’s natural treasures, made Molokini part of Hawaii’s State Marine Life and Conservation District in 1977. Snorkeling and scuba trips leave from Lahaina and Kihei daily. Bring plenty of sunscreen and keep in mind, the morning trip is best if you want the clearest water and calmest seas. 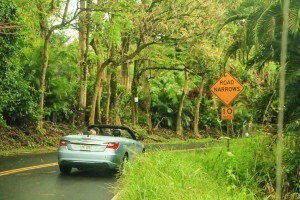 In recent years it’s become a popular endeavor for curious guests to venture out, past the resorts and dig into the real Maui.